Some people saw this coming, but it bears mentioning that the announcement is still a little strange. Valve finally revealed the third piece of information for the week, and it happens to be a new controller. One that doesn’t resemble any controller we’ve seen before. Firstly, it lacks any form of directional pad or thumbsticks. Instead, it relies on a pair of circular trackpads for directional input. I know some people who can play games with the trackpad on their notebooks, but it would be safe to say that those are minority cases. 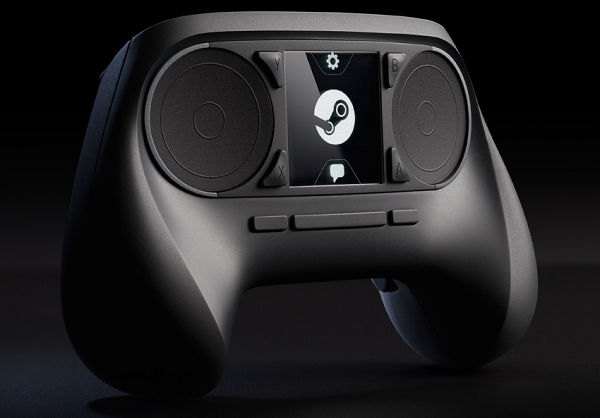 Putting two of those on a controller might be putting a little too much faith in Valve’s ability to innovate. The design addresses the lack of feedback by building “around a new generation of super-precise haptic feedback, employing dual linear resonant actuators. These small, strong, weighted electro-magnets are attached to each of the dual trackpads. They are capable of delivering a wide range of force and vibration, allowing precise control over frequency, amplitude, and direction of movement”. What that actually means is still in question. There will also be a touchscreen in the middle of the controller. One that Valve promises will be fully programmable and allow game designers to use it for an an “infinite number of discrete actions to be made available to the player, without requiring an infinite number of physical buttons”. 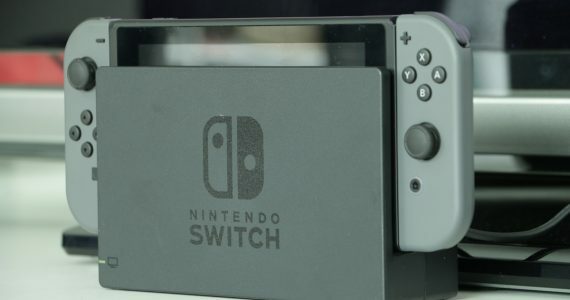 Fortunately, they are aware that looking down at the controller while playing a game could spell certain doom for the player; so anything that appears on the touchscreen will also appear overlaid on the main display. Finally, it is fully hackable. Which means that people who know what they’re doing will be able to really modify their controllers to be whatever it is they need. That might just be the most exciting things about the whole announcement.